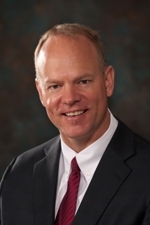 The Sheridan County Chamber of Commerce is pleased to announce that Wyoming Governor Matt Mead will be the featured speaker at the Chamber’s next monthly luncheon on July 10. Gov. Mead will be discussing his newly released Energy Strategy for the State of Wyoming, a strategy comprised of 47 initiatives designed to better equip industry, conservation groups and others with the tools to manage the state’s #1 industry. The Governor and a delegation of Wyoming business leaders have also just completed a trade mission trip to Canada as part of the initiative to reach out to international markets. The luncheon will be Wednesday, July 10, 11:30 am at the Sheridan Holiday Inn. The cost is $15 per person, payable at the door. The luncheon is open to the public, but advance reservations are required. Call the Sheridan County Chamber at (307) 672-2485 if you plan to attend. The host business for this event is First Federal Savings Bank, one of the Chamber’s platinum community partners.